In the rush for economic growth, China ignored its environment. Now it faces a nightmare. The country is one of the most polluted in the world. Remember the cartoon of the European explorer in North America, waving an axe to clear forests while moving towards the west coast a few centuries ago? The slogan "exploring the west" in China has a similar ring in the ear. China now has its eyes fixed upon its wild, barren and mysterious west. The changes in these parts are likely to be dramatic in the coming two decades. The aim is to bring west the economic miracle that transformed its eastern coastal areas in the past 20 years. It is difficult to avoid superlatives while talking about China. Be it the 1.3-billion-strong population, the country's stunning economic growth after the reforms of the late 1970s, or the enormity of environmental pollution. It is dj vu in China, another crossroads, like in the 1970s, another crucial juncture in its history that will determine the lives of its millions. The economic reforms raised the standard of living, lifting many out of poverty. But, this growth has come at a high cost to the environment. The country now faces a multitude of environmental threats including air pollution and acid rain, water shortages and pollution, desertification and soil erosion, the destruction of ecosystems and severe deforestation. Take the example of India, where the gross domestic product more than doubled between 1975 and 1995, but industrial pollution increased four times over and vehicular pollution increased eight times. As optimistic as the Chinese leadership might be about redirecting the economic juggernaut westwards, the proposition throws up more than its fair share of fears when you consider the environmental cost. Environmental protection and sustainable development have now been identified as national priorities and part of the development strategy in China. Yet the country's development and current economic growth are not environmentally sustainable. During the first half of the 21st century, China is likely to face the challenges of another population growth peak, inadequate natural resources to satisfy its growth, continued environmental deterioration and food safety and security needs. The plan to develop the Chinese west, if not handled carefully, could bring about disastrous repercussions for the already degrading environment. POPULATION: Between 2020 and 2040 China will experience three population peaks: in total population, in surplus in the labour force and in the number of the aged. The one-child-per-family policy has helped control the fertility rate in the past 20 years, but even at the current rate, China is likely to have 1.6 million people by 2030. While urban people have taken to the one-child policy, rural population continue to value a large family. The growing population will only increase the pressure on already stressed natural resources. URBAN GROWTH: Although a majority of China's population is in rural areas, the urban population is growing rapidly -- it more than doubled in the past 20 years. The urban population has risen to more than 30 per cent of the total population, and this is likely to go up to 40 per cent by 2010. Urban areas, offering the opportunity for higher paying job and better education, are increasingly burdened to provide a social infrastructure that has yet to be adequately developed to support the pace of growth. COST OF ECONOMIC GROWTH: A pattern of economic growth without adequate consideration of the potential environmental consequences is a chief contributor to China's environmental pollution. Between the late 1970s and the late 1990s, the economy grew at a remarkably high growth rate of 10 per cent per year. Some regions, like the Guangdong province in southern China, grew at twice that rate. Between 1978 and 1997, the gross domestic product grew four and a half times. The bad news, point out some Chinese economists, is that in recent years the economic costs of ecological destruction and environmental pollution reached as high as 14 per cent of the country's gross national product ( gnp ). Two years ago, the World Bank had estimated that air and water pollution alone cost China about eight per cent of its gnp . China, in general, is an energy-scarce country. The country's main energy source is coal, which meets 75 per cent of the demand and makes China the largest producer and consumer of coal. Yet the per capita coal reserves are less than half the world average. In the past, the government has artificially controlled the coal price so that it barely covers production costs. This hasn't promoted energy efficiency. Major coal consumers are industry, the power sector and households. Institutions including the us government and the World Bank have made loans or worked with the Chinese government to help implement clean-coal technologies in the industrial and power sectors to reduce dust emissions and acid rain. In 1999 the government closed 30,500 small, debt-ridden coalmines from January to October. This reduced output by 12 per cent as compared to 1998. "Pollution is one factor making chronic obstructive pulmonary disease -- emphysema and chronic bronchitis -- the leading cause of death in China, with a mortality rate five times greater than the us ," says Clear Water, Blue Skies: China's Environment in the New Century , a summary of the environment section of the China 2020 Report of the World Bank . A study by the World Bank in 1997 had estimated that if the then rates of fossil fuel consumption remain constant, the health costs, estimated at us $43.2 billion in 1995, will rise to us $98 billion by the end of 2000. The increase includes heath costs amounting to more than 600,000 premature deaths, 5.5 million cases of chronic bronchitis, and 20 million cases of respiratory illnesses. As they grow at a rapid pace, Chinese cities are exposing their children to a variety of harmful pollutants. The issue of children's health in cities will become increasingly acute in the years to come. Children studied in Shenyang, Shanghai, and other major cities have blood-lead levels that average some 80 per cent above levels considered to be dangerous to mental development. Some 7.4 million person-work-years are lost annually to air pollution-related health impacts. Acid rain in the high sulphur coal regions of south and southwest China has the potential of damaging 10 per cent of the land area, and may have already reduced crop and forestry productivity by an average of 3 per cent. Air pollution in China has been notoriously high for several years. Burning of coal releases sulphur dioxide ( so 2 ) and total suspended particulates ( tsp ). Emission from burning fossil fuels can result in acid rain, particularly coal emission, which can be carried hundreds of kilometres from its source and last in the atmosphere for days. Acid rain and acid deposition have detrimentally affected regions all over China, but some areas like Sichuan, Guizhou, Guangxi and Hunan provinces produce higher levels of emissions. The government is attending to this problem because it threatens to undermine China's food security. The tsp and so 2 levels in urban areas are extremely high in Chinese cities. Zhao Weijun, deputy director of nepa (now sepa ), had noted in 1997 that residents of many of China's largest cities live under long-term, harmful air quality conditions. In large cities where coal is being phased out as an indoor heating and cooking source, significant reductions have already been documented. Substituting oil and electric heating have aided in this reduction process, as has the increased use of cleaner coal briquettes. Indoor pollution in urban areas has been greatly reduced. A pipeline running from Shaanxi province to Beijing will be completed by 2002 and will supply natural gas to 46 per cent of central Beijing. The media has given coverage to the ban on the use of coal for heating and cooking in households and the commercial sector. Daily reports of pollution levels can be checked in newspapers or the Internet. China might benefit greatly from the use of renewable energy systems like wind and solar energy. There is a clear shift in the source of air pollution in Chinese cities. While steps have been taken to control the burning of coal, the number of vehicles on the road is rising dramatically. Since 1980, the number of vehicles has been growing annually at a rate of 20 per cent in many urban areas. It is estimated that there are about 18-21 million motor vehicles in China. By 2010, this is expected to more than double to 44-50 million. This makes for a scary situation in the absence of extensive infrastructure, making urban traffic movement very slow and creating pockets of high emissions and slow traffic movement. Vehicular emissions are now becoming the primary air pollutants in cities. Estimates show that by 2010 in Shanghai, 75 per cent of total oxides of nitrogen emissions, 94 per cent of the total carbon monoxide emissions, and 98 per cent of the total hydrocarbon emissions will be from vehicles. 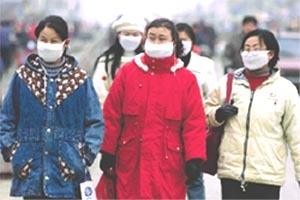 In 1997, the nitrogen dioxide ( NO2 ) levels in three of the largest cities, Beijing, Shanghai and Guangzhou, were more than twice the who guideline of 50 microgrammes per cubic metre. no 2 is critical to the formation of photochemical oxidants and other particles in the air, which form smog and ground-level ozone. Vehicles produced domestically often lag behind international standards in design by as much as 20 years and are not subject to very effective inspection systems. They emit two to seven times more nitrous oxides and six to 12 times more carbon monoxide as compared to vehicles in industrialised countries. In Beijing, 40 per cent of autos surveyed and 70 per cent of taxis failed to meet the most basic emission standards. In Shanghai, emissions of 100,000 motor vehicles and 300,000 motorbikes were above the national permitted level. On the fuel quality front, the government began implementing policies that require the complete phasing out of leaded petrol in the future. Until recently, leaded petrol held 40 per cent of the market share. The government has also made a move towards cleaner fuels. Many of the public buses in Beijing now run on natural gas. The State Council in 1998 introduced Euro I emission norms for all new cars by 2000. Beijing implemented the policy one year ahead of schedule. In March 1999, it was mandated that all domestically manufactured cars sold in the capital would have to be retrofitted with a kit that would enable them to meet the Euro I emission standard. This costs us $375 per vehicle. Almost 80,000 vehicles have already been retrofitted. Such steps are also influenced by Beijing's bid to host the 2008 Olympics. The Chinese capital isn't likely to win the bid unless it can show some improvement in air pollution. "China has to work hard to deal with its insufficiency of water resources, worsening water pollution and threats of floods and drought." Thus said Wen Jiabao, vice premier of China. China's limited water resources are located predominantly in its southern parts and do not serve a large part of the overall population. In southern China, 34 per cent of the Chinese population has access to 81 per cent of the total water resources. The 34 per cent who live in the north rely on merely 7.5 per cent of the country's water supply. Frequent natural disasters, like the floods of 1998, show that the problem isn't limited to paucity of water but its distribution and management as well. Human-induced threats to the country's water supply, such as the rapid and unregulated growth of industrial activities, also pose grave problems. Urban growth is happening without adequate water supply infrastructure. With economic reform and decentralisation, the large state-owned enterprises have been giving way to smaller, rural township-and-village enterprises ( tve s). These enterprises, established from local collectives or individual farmers, are largely unregulated, especially with regard to environmental pollution. The growth of tve s parallels the increase in the production of industrial wastewater. Between 1981 and 1995, wastewater volumes increased at an annual rate of 1.65 per cent. Of the total wastewater discharged in 1995, 21 per cent came from tve s (see box: Small blunders ). Three industries contribute most to this: pulp and paper, chemicals, and textile dyeing. A 1989-1991 study showed that the wastewater contained organic matter, acid, alkali, nitrogen, phosphate, phenols, cyanide, lead, cadmium, mercury and bichromate. Mercury concentrations were 45-700 per cent over the national standard, and lead was 3,600-5,216 per cent above the standard. 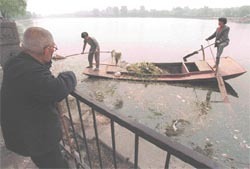 "Water pollution, a major focal point of recent Chinese policy, has contaminated 52 of 135 monitored urban river sections. Such river sections do not even meet the lowest standards necessary for irrigation water, rendering them mere waste sinks. Access to future safe drinking water supplies is threatened for tens of millions of people," says the World Bank report. Extending as far west as the Tarim and the mountains of the Tian Shan range, as far east as the forests of Heilongjiang province and as far south as the tropics of Hainan island, China's topography is vast and contains a broad range of biologically diverse species. The World Wide Fund for Nature ( wwf ) notes that China is home to more than 2,800 kinds of terrestrial and aquatic vertebrates, 500 mammals, 1,186 birds, 380 reptiles and 280 reptiles. China's growing population and economy threaten this biodiversity. Over the past several decades, forests on the Hainan Island have decreased by 65 per cent. Nearly 60 per cent of virgin forests in Yunnan have been cleared. In the past 40 years, the country's forest cover has halved, and covers only 14 per cent of the total land area. Southern China, with the greatest percentage of the country's biodiversity, is at an especially high risk. Historically, forests have not been managed properly. During the Mao era, trees were felled in irreplaceable quantities to supply fuel to furnaces for smelting metals. Animals were over-hunted. In the post-Mao era, despite the increased attention paid to environmental conservation, forest areas and biodiversity have continued to suffer as a result of the dramatic economic growth. The country is struggling to supply enough timber to meet the current demands, having experienced an increase in annual consumption from 196 cubic metres between 1973-76 to 344 cubic metres in 1982-88. The 1998 floods along the Yangzi river brought the world's attention to the devastation wrought by excessive timber harvesting and inadequate afforestation planning. The widespread overfelling of trees resulted in damages that could potentially have been avoided. The Chinese government reacted quickly after the disaster to prevent similar catastrophes elsewhere, and banned upstream logging in Sichuan, Yunnan and Tibet. Although China has established and ratified a series of laws relating to forestry and biodiversity -- the first version of its forestry law the same year as the Environmental Protection Law (1979), and has defined a biodiversity conservation plan -- there is enormous discrepancy between government policy and reality. Certain areas have been declared protected nature reserves. The first one came up in 1956, and by 1996, there were 799 of these, covering 7.5 per cent of the total land area. These reserves are managed either by private groups or by various government agencies. Forestry bureaus hardly have the money or political clout to properly administer conservation policies in the forests over which they have control. These agencies have problems typical to government agencies: they are debt-ridden and overstaffed. To meet their management costs, agencies resort to the very practices they are supposed to prevent. The government is redirecting timber industry workers to massive re-planting programmes. China's forest reserves are more often at risk than they are protected. A lot of people live in and around these reserves and they resent any attempt to disrupt their customary reliance on the forests. Attempts to promote ecotourism as a way to create a stake for the local communities in conservation haven't worked well for a variety of reasons. Since 1949, China has shown the capacity to provide adequate nutrition to most of its population. Feeding one-fifth of humankind with only 9 percent of the world's arable land is not easy. Per capita nutrition has increased from less than 1,700 calories per day in 1960 to more than 2,700 calories in 1993. This has come about almost exclusively through increases in domestic food production. However, the concern raised by a number of analysts about food security issues is not baseless. When population growth, resource depletion, environmental pollution and the lack of modern technologies are factored in, China's food safety and security don't make a happy picture. The demand for food will continue to grow as the population increases and diets change with rising incomes. The prospect of foodgrain demand increasing to about 705 million tonnes by 2030 poses a major challenge to farmers, scientists, and policymakers. Years of inappropriate land use have consumed a large amount of arable land and caused extensive soil erosion. Soil carried to the sea each year by China's rivers amounts to nearly five million tonnes of nitrogen, phosphorus and potassium, equivalent to the annual production of chemical fertilisers in China. This accounts for more than 8 per cent of the world's total fertile soil loss. The Loess Plateau alone suffers up to 40 million tonnes of soil erosion every year, worth 2.4 billion Yuan ( us $289 million). Some 158,000 sq km of the land area is on the verge of desertification. Once prosperous farming families in areas such as eastern Qinghai are now forced to subsist on very little as their cropland dries up in front of their eyes. China has experienced an increase in the frequency and degree of damage caused by natural disasters. During each year of the 1980s, there was more than twice the number of disaster-hit areas than there were in each year of the 1950s. This wiped out more than 30 per cent of the country's crop productivity each year. Flooding in the summers of 1988 and 1999 along the Yangtze river and in northeastern China, which displaced hundreds of thousands of people and damaged tens of thousands of hectares of farmland, revealed just how vital water, soil, and forest conservation are to agricultural sustainability. Scarcity of water and unbalanced water distribution also strain China's ability to produce food. The country ranks 88 in global per capita water availability, and the surface water in lakes and reservoirs has declined at the rate of about 325 sq km per year since 1954. Roughly 40 per cent of China's 86,000 reservoirs are inactive and cannot be used because of sedimentation and depletion. In the 1990s, part of the Yellow river has run dry every year, with the dry section extending 600 km from the mouth of the river to its upper reaches in Henan province. Many wells have been abandoned because of lowering water tables. With more than half of the population living in the north, long-term water scarcity on such a large scale has made food production difficult. Food production also has been adversely affected by environmental pollution through misuse and overuse of fertilisers and pesticides. The world's largest user of fertiliser, China employs nearly three times more fertiliser per unit of farmland than the world average. Chinese agriculture is traditionally labour-intensive, relying primarily on livestock, recycled organic substances as well as crop rotations and soil-enriching leguminous green manure. Traditionally, organic manure and bacteria were used to fertilise plots. But chemical fertilisers are replacing this. The agriculture market and price reforms have more than tripled the use of fertilisers between 1989 and 1994. Chinese agricultural minister Chen Yaobang pointed out in 2000 that over the past decade, the volume of fertiliser used in China rose by 90 per cent, but the growth in grain output was less than 6.5 per cent. China is seeking alternative policies and options to ensure its food security and safety. Besides measures to control pollution, conserve natural resources and provide technical training, the country is also moving towards eco-agriculture and adopting the framework of green food or organic food production. There are still many ups and downs China must go through in this arduous battle of food security and safety. In China, attempts to reduce the adverse consequences of pesticide use have mostly focused on managing or preventing poisoning, or toxic events usually associated with accidental spills during application or transportation. For instance, between 1985 and 1990, Shenzhen had 166 acute pesticide poisonings, affecting more than 5,000 people. Nationwide statistics from 1991 to 1997 counted 1303 such accidents, with a total of 25,472 affected people. Tests conducted in 1989 in 30 Chinese cities found worrisome levels of ddt and bhc residues in mother milk. An eight-year continuous monitoring of ddt level in mother's milk in Beijing estimated that it might take 15-20 years for the level to be lowered to the 1980s level in most industrialised countries. The greatest hurdle in meeting China's environmental challenges is for the Chinese people to appreciate that it isn't merely the job of the government. Opinion polls indicate that even when the people are aware of environmental problems, economic development takes precedence. Government agencies entrusted with the task of enforcement of environmental regulations have not delivered given the decentralised nature of governance. The central government, on the other hand, feels that public awareness and activism would help their environmental protection plans. Qu Geping, chairperson of the Environmental Resources Protection Committee under the National People's Congress, has said: "The degree of popular participation in environmental protection work is an important indicator of the success or failure of environmental protection in the country." This commitment is also clear from the inclusion in 1994 of a clause on environmental education in China's Agenda 21. The report states: "Environmental protection concerns the survival and development of the entire nation. All the people's governments and departments must enhance their consciousness of the importance of environmental protection, strengthen publicity and education on environmental protection, popularise environmental knowledge and legal knowledge, and raise the environmental awareness and understanding of environmental law of the entire nation." As rural residents receive much of their information from village meetings run by officials, it is not unlikely that these officials avoid incorporation of environmental education. Corruption among officials also breeds mistrust. The revision of the Environmental Protection Law in 1989 called for regular pollution reports to be made available to the public. However, it wasn't until 1997 that regular reports of air quality measurements were actually made available. Many local officials have opposed making this information public, claiming that it could lead to social unrest or that it needs to be kept secret out of "diplomatic necessity". The central government and sepa are quite obviously at cross-purposes with local-level officials. Another factor worth noting is the lack of national consistency. While some relatively remote towns might be running recycling programme, for instance, some taxi drivers in Beijing still have no idea why they haven't seen a blue sky in years. 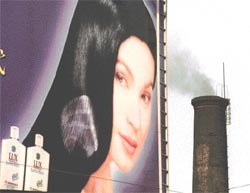 Pollution is often regarded as a fact of life. There are some things to get encouraged about. While the central government is the first on the list, the second is the intense campaign to inform and educate people about the environmental degradation and the ongoing legal reforms and legal processes taken up by the media. Another good sign is the creation of 'hotlines', places where ordinary citizens can register complaints against a variety of issues from legislative drafts to environmental concerns. Local environmental protection bureaus, which suffer from fund crunch, are increasingly finding that reports on polluters come more often from local citizens, rather than official investigations. But the hotlines are restricted to urban areas. Yang Quin, a photographer, has made a small impact by helping establish the Suonandaje Wildlife Protection Station in Kekexili. Student groups are emerging on university campuses. Their numbers might be small right now, but they are rising. Civil society groups are seeing a surge in the number of people who want to be become involved. Grassroots projects to educate farmers about sustainable farming practices. But, again, many of these movements are restricted to urban areas. Almost all of the information received by the public in China comes via the government media apparatus or informational meetings held by local party secretaries. Those who have access to newspapers, the press can work as a powerful force in disseminating information on environmental issues. Television can also be an influential medium -- there are over 250 million television sets right across the country, reaching people who have no other means to access this kind of information. As Internet becomes more widely accessible, the Chinese Academy of Sciences is making environmental legislation available online. For sustainable development to truly become a national objective, the public in China needs better access to higher quality information on environmental issues. China must struggle with economic reform and the need to devise sustainable policies. There are grave problems, but there are solutions as well. Grim statistics are matched by efforts that give reason to hope. China has been the seat of philosophies like Buddhism, Taoism and Confucianism, which have often been touted as espousing the belief that humans should coexist in harmony with nature. This creates an impression that Chinese culture, rooted in these philosophies, would lead to a predisposition towards environmentally friendly policies. This assumption may not hold water. Mark Elvin, professor of Chinese history at the Australian National University, who specialises in hydraulics and water control in China, argues that the ancient philosophical canon describes the natural forces not as a symptom of any ancient harmony but, rather, of a rational reaction to an incipient but already visible ecological crisis. "The more I learn, the more I see traditional culture is so unfriendly to nature," notes Liang Congjie of the Chinese ngo Friends of Nature. The common perception seems to be that the heavens have provided the natural resources and these are here for the taking. Not much seems to have changed in the modern day and age. Environmental problems were visible as early as the middle of the 20th century. Deforestation and mismanagement of the timber sector, water resource challenges, soil erosion, and urban and industrial pollution already challenged the new nation. But these problems weren't attended. Mao Zedong's plans for achieving rapid industrial growth during the Great Leap Forward further undermined environmental concerns. What followed was the exploitation of natural resources without a care for the consequences. A Chinese delegation attended the un Conference on the Human Environment in 1972. The following year saw the Chinese government holding the first National Conference on Environmental Protection. 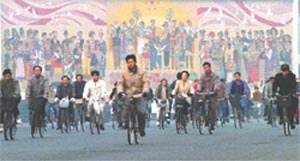 In 1974, the State Council's Commission on Environmental Protection was established. Yet the government's priority remained economic growth. Even when the Environmental Protection Law was promulgated in 1979, no clear link was made between official recognition of the problems and government policies. 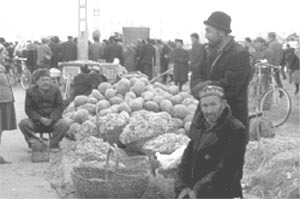 Some changes happened in the late 1980s -- 1989 saw 12 special laws regarding protection of the environment and natural resources, 22 administrative decrees from the State Council, 26 regulations from the National Environmental Protection Administration (NEPA), about 1,000 local laws as well as 263 national standards issued by the government. This led to a more in-depth, structured legal system for environmental protection. In 1998, nepa was elevated to a ministerial level, and the Commission on Environmental Protection was merged with it to create the State Environmental Protection Administration (SEPA), the top environmental protection authority at present. Notwithstanding the government's efforts, China is far from being 'green', particularly for a country in the throes of development. While the Chinese public is increasingly aware of environmental concerns, it continues to view environmental protection as the government's job. Many policies that appear promising on paper are never properly implemented. This has something to do with the decentralised nature of economic reforms. This has limited the central government's ability to coordinate and communicate with local governments, which control not only the authority necessary to reform local industries but also the power to control financial resources. The result has been increased bargaining power for local governments, which are too close to the industries that they are supposed to regulate. Economic welfare of the community is more important for them than environmental wellbeing. In some cases, environmental protection bureau (EPB) officials are expressly told to stay out of the way. There have been cases of assault, with the involvement of the local authorities, on regulators, and there are more such incidents than are reported. SEPA has stated that it cannot expect effective management from its officials if it cannot protect them from such attacks. The epbs are funded entirely by local governments. Enforcement is particularly difficult for the central government. It doesn't have environmental authorities outside the capital Beijing. With the elevation of sepa to a ministerial level, its influence has increased. Yet its staff has been reduced from about 400 to about 200 -- compare that to the 6,000 employees at the headquarters of the us Environmental Protection Authority. This has happened at a time when the sepa has taken over the role of the State Council Commissions as well as the responsibilities left by the abolished ministries, and do this with fewer staff.